Nearly every Jewish holiday can be summed up with the statement “They tried to get rid of us, they didn’t, so let’s eat” and Hanukkah is no exception! Hanukkah in the Jewish tradition is not at all about gifts. In truth, it’s a very minor holiday! Hanukkah is the story of a tribe of warriors rebelling against an oppressive tyrant and succeeding. It was a miracle that such a small group of warriors could triumph over a force much larger than their own. After their victory, the warriors returned to the Temple in Jerusalem and found there was only enough oil left to keep a lamp lit for a single day. 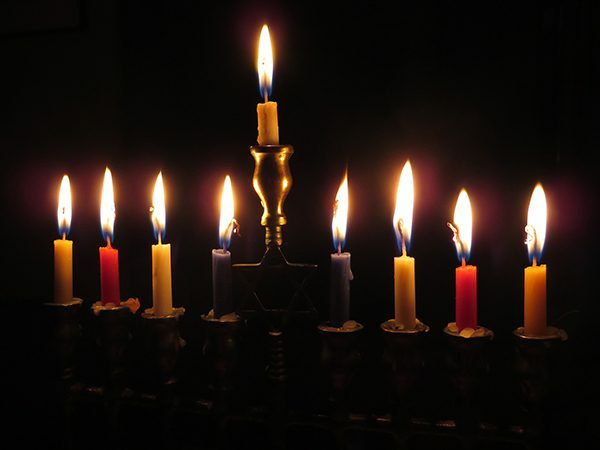 The miracle of Hanukkah is that the oil continued to burn for eight whole days. Again, a story of how a small force was able to persevere for so long against the odds. My favorite memories over the years are framed by how my family has celebrated. When I was little, my mom and dad would make latkes—which are freshly shredded potatoes made into pancakes and fried in oil (representing that same oil that lasted for eight days)—for dinner one of the nights. Nowadays, my sister has taken over latke duty using her special dreidel-shaped spatula, one of last year’s gifts. My grandmother and grandfather always send socks for the whole family, because who doesn’t love a pair of warm and fuzzy socks! Now, I did say that Hanukkah isn’t about exchanging gifts, but that doesn’t mean my family doesn’t partake in it! When you’re young, gift giving is all about surprise and excitement of trinkets and toys. My sister always does such a wonderful job of finding great gifts! For instance last year, after my Dad retired (for the first time) he had started to ride his bicycle more frequently, so she got him an electric tire pump. 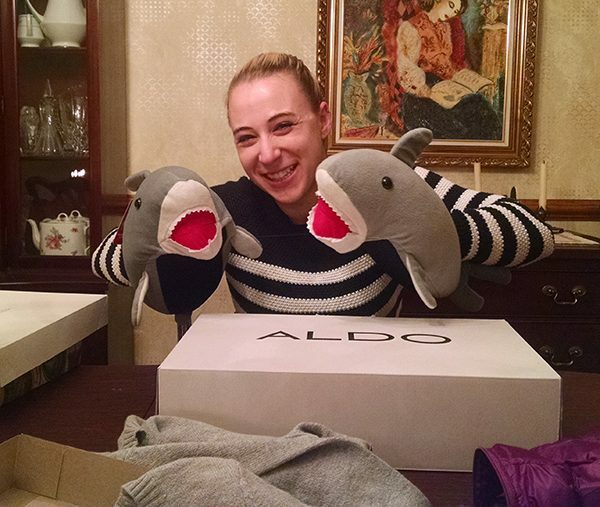 I think my sister’s cat, Diesel, took the award for best gift, though…he gave my sister a pair of oversized Shark slippers whose mouths open and close when she wiggles her toes. And of course, every year while much of the world is celebrating Christmas, my family goes out for Chinese food or Sushi (along with most of my synagogue’s congregation) and then heads to the movie theater! You might even call Hanukkah a portable holiday. One year my whole family was skiing up in Vermont, and my parents packed a menorah, some gifts, and a stash of dreidels and chocolate coins and we celebrated in our hotel room after a long day of skiing. We’ve celebrated at relatives’ houses and with friends all across the country. The holidays are always sweeter when shared with others. A tradition in my family is make donations to local charities on one of the nights of Hanukkah. Consider this holiday season making donations to your local soup kitchen, women’s shelter, Homefront, a National Park, or animal shelter. Your small contribution will make a big miracle in someone’s life! No matter what you’re celebrating this time of the year, spend some time creating some cherished memories with the ones you love. I have lots of fond memories of celebrating Christmas at our home. I am the oldest with 5 younger brothers. It certainly was very noisy! We started making Christmas cookies weeks ahead – oatmeal raisin, and sugar cookies. My mom would let us decorate the sugar cookies with red and green sugar and we always made a total mess on the table! I let my kids do the same and now my grandkids. Our manger was put up on the first Sunday of Advent along with our Advent Wreath which was lit every night during dinner with the knowledge that Christmas would be here soon once all of the candles were lit. My mom would leave baby Jesus out of the manger until Christmas morning. I still have my mom’s Advent Wreath and manger and carried on these traditions with my kids. I also still light a candle each night at dinner during the Advent season. Because we are Sicilians we also celebrated the Feast of Santa Lucia or Saint Lucy on December 13th. We would not eat anything made with wheat, but would eat whole wheat berries that my mom cooked for hours with water, bay leaves, salt, and sometimes chickpeas. I still make the wheat berries using my mom’s recipe. My father loved his family and the holidays. He would wait until Christmas Eve to get our tree – the tree lot was at the top of our street and trees were 75 cents on Christmas Eve – and we never saw our tree until Christmas morning. Santa put it up and decorated it and it was always beautiful! Christmas Eve, my brothers and I would sit on the couch and sing Christmas songs. We could not wait to see our tree and the gifts. Christmas morning we would line up on the stairs and peek down at the tree! Then, we were marched out to mass at St. Anthony’s Church on Olden Avenue in Trenton through the back door of the house so we could not see any of the Christmas decorations until after mass. My mother always made us say “Happy Birthday!” to baby Jesus before opening gifts and I always made my kids put baby Jesus in our manger before they opened their presents. Thank goodness for my godmother, Aunt Mary, who did not have children of her own at the that time and helped Santa put gifts under the tree. My favorite gift was an inexpensive camera. When we got older we would help decorate the tree and get in trouble if our tinsel wasn’t perfectly placed on each branch to look like an icicle. My brothers would tease my mom and not do it her way. I still have one “War Ball” left, made by my mom during WWII. Decorations were hard to come by back then and she made them with clear glass balls, glue, and glitter. I will always treasure it. Clean one pound of wheat berries, removing any stones. Put them in a large pot – 6-8 quarts – and rinse several times, pouring off water and being careful not to lose any wheat berries. Fill the pot with water to about 3 inches above the wheat. Add: 3 bay leaves, 1/2 teaspoon of salt (or salt to taste), and 2-3 teaspoons of sugar. After the pot comes to a boil, reduce the heat to a simmer and cook for three hours, stirring once in a while. How To Make The Most Of Your Florida Winter Getaway: Free Time in Daytona, FL! The temps are dropping, snow is coming, and it’s making sunny days by the beach seem more and more appealing. 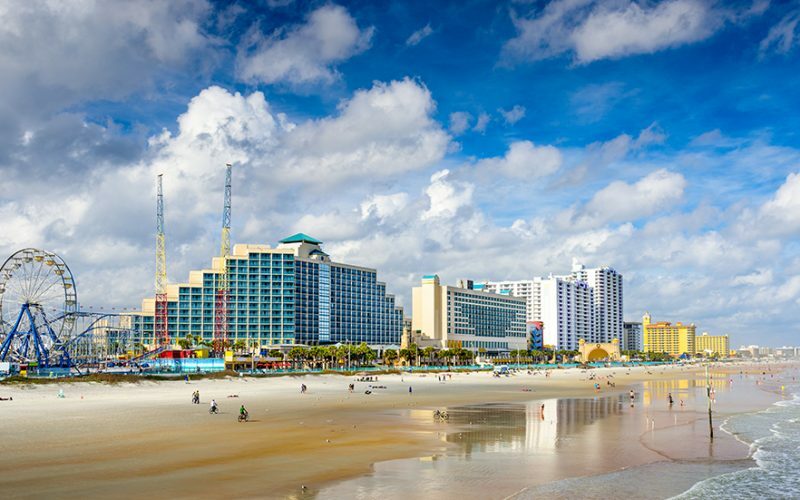 Daytona, Florida has been a popular destination getaway for decades, and tourists continue to flock to its warmth in the winter months. The 23-mile stretch of white sandy shoreline is welcoming year round, but there is plenty more that Daytona has to offer. Meander along the Daytona Beach Boardwalk. Even in the winter months, it’s never too cold to walk the boardwalk! The boardwalk is lined with plenty to see and do. From shopping to dining, to free concerts and entertainment, time here is always well spent. This makes for a truly unique stroll, seeing as how the boardwalk itself is concrete versus other standard wooden boardwalks. The museum is one of the largest in central Florida, with more than 30,000 objects on display. Cuban art, Chinese art, Early American furniture and art, an abundance of displays on Florida history…it’s the perfect escape indoors, rain or shine! Visit the Southeast Museum of Photography. The museum is Florida’s only museum dedicated exclusively to photography and one of the largest in the nation. It’s stunning modern galleries highlight an impressive collection of contemporary and vintage fine art, photojournalism, fashion and new media. Tour and taste the chocolate at Angell and Phelps Chocolate Factory. This is a must-see! The company continues to use the original recipes that Riddell Angell and Cora Phelps came up with at the beginning of World War II. A visit here can take you on a free 20-minute tour of the factory to observe the whole chocolate making process. The tour has a sweet ending, too. Free samples! Take a stroll through Dunlawton Sugar Mill Gardens. This 12-acre property holds a fascinating history and features old mill ruins, stone dinosaurs, a human sun dial, and various garden and plant collections – perfect for a leisurely afternoon! Visit The Casements, the winter home of the late J.D. Rockefeller. Known as “The Jewel of Ormond Beach,” The Casements are listed on the National Register of Historic Places and are designated as a Florida Heritage Site. Named after the large casement windows adorning the building, The Casements were once the winter home of J.D. Rockefeller and now serve as the Cultural Center for the City of Ormond Beach.Your hotel is on the ocean with daily activities and access to the beach. If you would like to see one of these sites, your tour director will be able to guide you to the public transportation nearby. There is a public transit bus that runs on the main street- southbound, it goes to Ponce Inlet, and northbound it takes you to the boardwalk and then over to Old Town Daytona Beach. There is a transportation center in Old Town Daytona where you can hook up with other local buses to get to the mall etc. There is also a taxi service that is not too expensive and is fairly punctual. It’s never hard to make the most of your winter getaway when it involves a trip to Daytona Beach, Florida. This winter, escape the brutal cold from the north and experience all that Daytona has to offer! 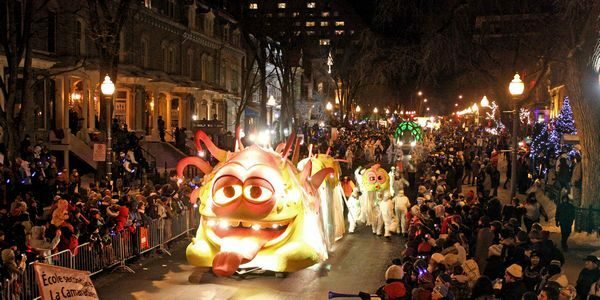 The Quebec Winter Carnival: What Is It? 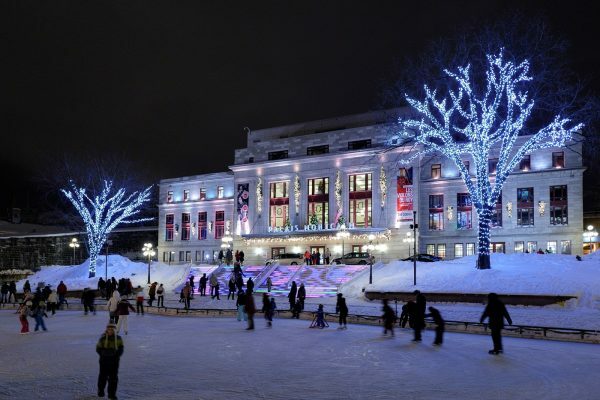 Surrounded by mounds of glistening snow and thousands of cheerful visitors, the world’s largest winter carnival takes place every year in the beautiful city of Quebec. The Quebec Winter Carnival comes in third on the list of Top Carnivals, following the infamous ones in Rio and New Orleans. Still, it stands alone in what it offers, boasting plenty to see and do for young and old alike. Quebec City held its very first winter carnival in 1894. From that time until the second half of the century, the carnival was sporadic – interrupted by various circumstances like brutal winters, wars, and the economic crisis of 1929. Determined to build the carnival back up in 1954, some business people set out to re-launch what would eventually become the world’s largest winter carnival! That same year, Bonhomme Carnaval was born and became the event’s representative. He embodies the “joie de vivre” associated with the Carnival and is the symbol of the festivities of this joyous period of the year. 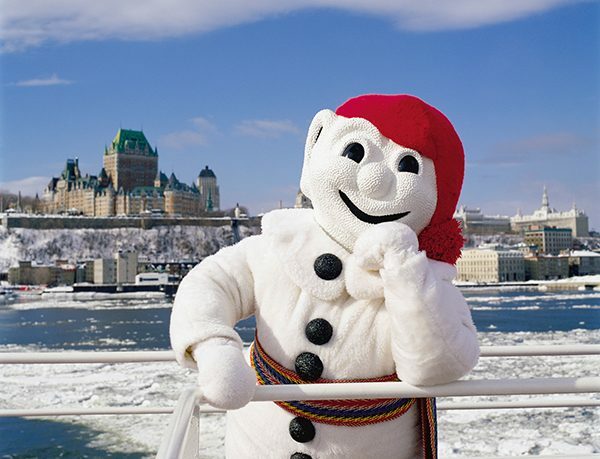 “Bonhomme Carnaval is not a simple mascot; he acts officially and speaks for and in the name of the Carnival… He is surrounded by an air of mystery and most of all, an authentic respect.” Today, the Carnival is a “must-see” for the entire Quebec City population and attracts tourists from all over the world. 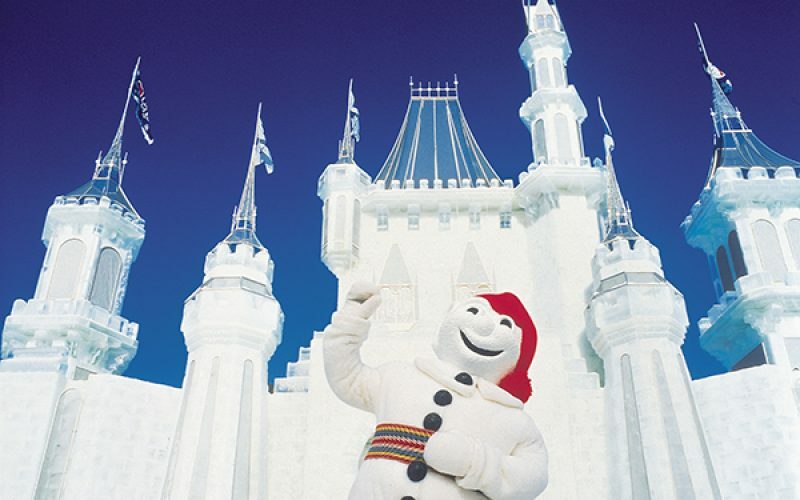 The Quebec Winter Carnival continues to advance in entertainment and activities with each passing year. 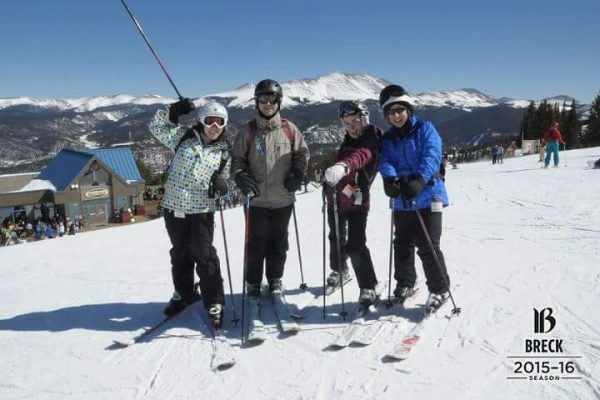 The most popular activities are the winter sports, of course, followed by other traditional winter activities, like snow sculpting. Bonhomme’s Ice Palace was named after the elected event representative in 1954 and continues to be one of the most “must-see” parts of the carnival. The canoe race features some of the most talented athletes, plummeting through “rivers” of snow. The International Snow Sculpture Competition is a sight to see, too, with sculptors competing from across the globe. The Upper Town Night Parade is always a must-see as well, featuring colorful floats and dancers, encompassing the beauty of the Carnival in a single parade. Of course, the Carnival offers the simple things too, like skating, snow slides, and sleigh rides. There is certainly plenty to see and do for all! 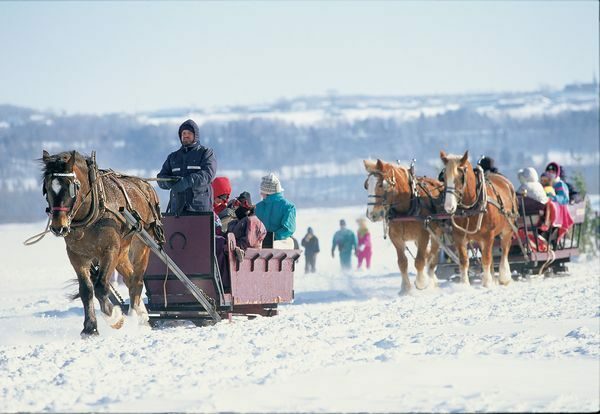 Winter carnivals are always entertaining and lively, but the Quebec Winter Carnival absolutely tops them all. With over two hundred activities for kids of all ages, it’s worth a trip to come and see it all. The next Carnival is coming up – come join us! If you’re looking to get away after the rush of the holidays, we highly recommend a trip to Quebec City to see the Winter Carnival! There’s never a dull moment and we know you won’t regret it.